The Blackburne name has been synonymous with the Perth property industry for many years. Since the formation of the business in 2003, every year of that journey has allowed us to gain greater insight, expertise and understanding of our clients’ needs. As an integrated property developer, our powerful combination of property intelligence and service excellence supports our clients at every step on their property journey. Our progressive nature has seen us steadily evolve, bringing together a remarkable team of specialists, each an expert in a key aspect of property. While property development is at the core of our business, it is strongly supported by our complementary professional services including strata management, property management, sales and marketing and mortgage broking. The model supports buyers with complementary property services and ensures that the transition into apartment living is an easy and enjoyable experience. 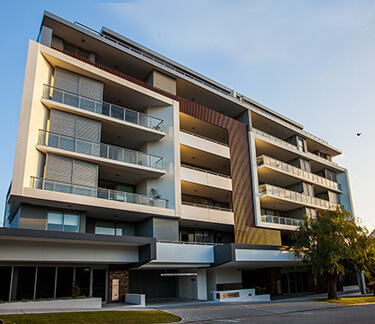 To date, Blackburne has now designed, built and marketed more than 1,000 apartments in and around Western Australia. Blackburne wins Strata Management Business of the Year for 2015 at the SCA(WA) Awards. 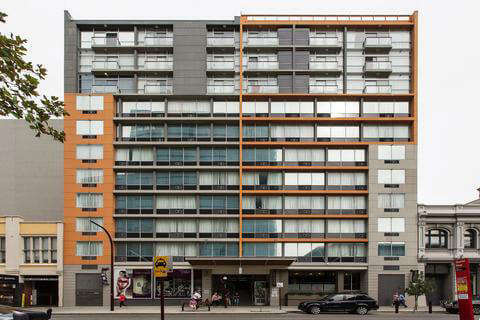 Apartment development at 103 Harold Street, Highgate is completed. Apartment development at 5 Hawksburn Road, Rivervale is completed. Blackburne wins 2015 UDIA Awards for Excellence for Highgate development, Monarc. Apartment development at 15 Roydhouse St, Subiaco is completed. $156,000,000 settled in FY2014/15, with $21,196,000 settled in a single month. Blackburne reaches 4,000 strata lots under management. Blackburne reaches $20,000,000 Funds Under Management. Apartment development at 87 Bulwer St, Perth is completed. Blackburne reaches 800 properties developed since inception. Apartment development at 43 Wickham St, East Perth is completed.